Rainna met Lance while she was in middle school, but it wasn’t until after she graduated from high school that the pair began dating. “We were both invited to a mutual friend’s Christmas party. I am usually on the shy side, but I saw him at the party and decided to go talk to him. I loved our conversation and hoped he would friend request me on Facebook (he did!). He began to pursue me and we started dating a month later,” Rainna reminisced. Three years later the Tampa couple were engaged. Rainna and Lance planned a rustic DIY wedding at Tampa wedding venue the Ybor City Garden Museum. 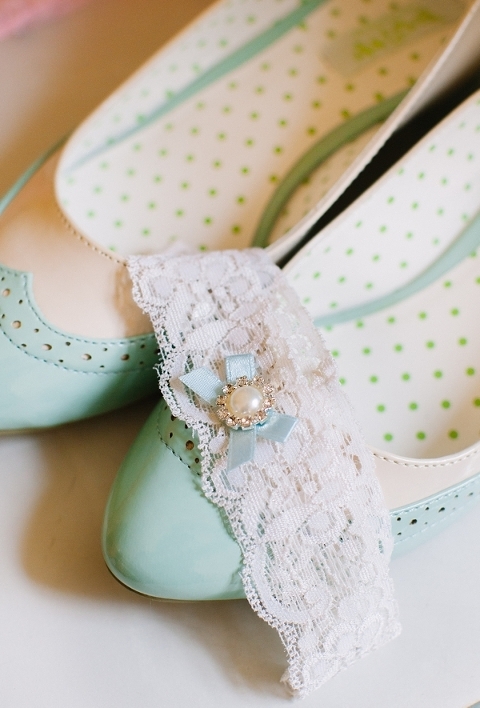 Since she held a March wedding, Rainna chose pastel colors, mint green and ivory, with a touch of pink. 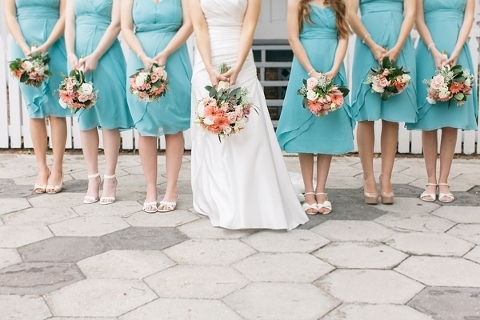 “I loved the way the color mint looked in pictures! When I see that color, it makes me feel cheery and happy, so of course I had to have it as my main wedding color,” Rainna said. 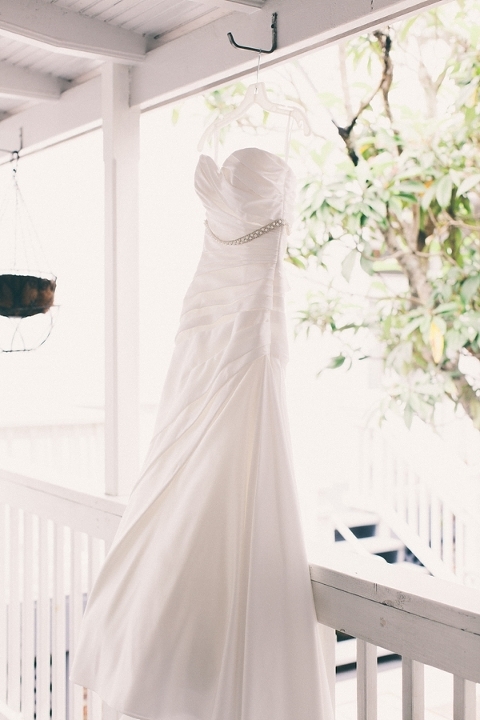 The couple’s Tampa wedding venue set the mood for their rustic Ybor City wedding. While the bride put a lot of work into her DIY wedding decor, it was the inclusion of her faith and love for her husband that was the most important. Don’t let the little things get in the way of what really matters, as cliché as that sounds. 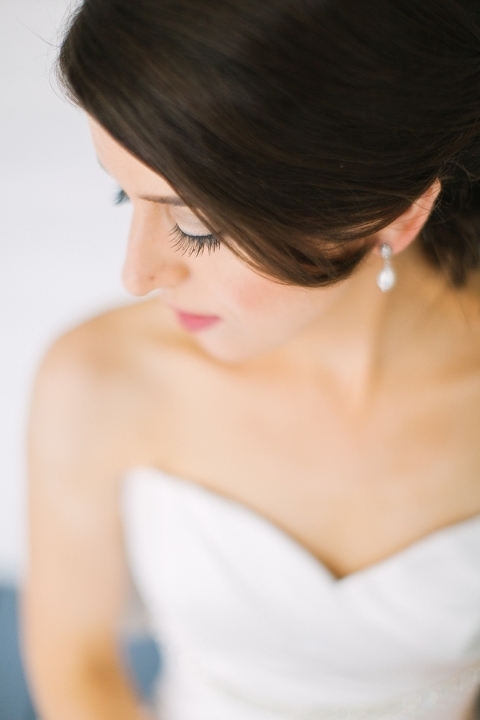 Your wedding really isn’t about the colors, vendors, or weather. During our wedding planning, I freaked out over what at the time seemed like huge problems, such as the bridesmaids dresses being turquoise instead of mint, the tent company had to be switched, etc. During the wedding, none of it mattered because I got to marry my husband. We loved our wedding, and all the stress and worry didn’t matter anymore. Have a blast at your wedding because it’s about celebrating, not about how things look. The joy of becoming husband and wife is the best part about the day! Save up to 75% during The Knot Wedding Shop 3 Day Sale through May 29, 2013! Hundreds of items on sale – plus, take a BONUS 30% off $125+ with code 3DAY125.